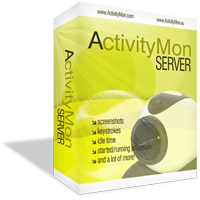 ActivityMon Terminal Server is Microsoft Terminal Server monitoring software. Using it you can monitor all the remotely connected users and their activities on the terminal server. you can simply inform you employees about timed events such as the time for server backup, etc.